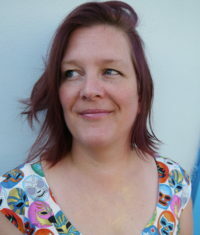 Anita MacCallum is a Bristol-based writer specialising in poetry, prose and script writing. She writes about people living on the edge of society, mental health and feminism. Transformation compels her and she is inspired by stories of positive activism. Follow her on Twitter here. A picture tells a thousand lies. Like this one above. It’s beautiful, a perfect illustration of my perfect life. Except it’s not. Obviously. I was on the verge of running away from everything on this day. In my daily life I am my own unique version of Wonder Woman, I can cope with anything and anyone. Often I’m told ‘You’re so strong.’ and this persona is the one that I cling to when inside I’m falling to pieces. At the time the ‘poppy picture’ was taken my husband had been signed off work with stress for seven months. Stress takes its toll on everyone – it feeds like a leech, sucking the sparkle out of life and the life out of people. The plan had been for me to do an MA and the moment I signed up and committed to it, the stress leech that had been feeding on our family for months began consuming us. In an attempt to be supportive to my husband I took on a series of freelance contracts to create the space for him to take off as much time as he needed. Inside my head began a hum. A hum, slow and low that got louder as time passed by and I piled more and more work in an attempt to quieten the noise. The work spread from three days, to six days to seven days a week. Each day brought a different freelance project. It’s hard to describe to non-freelancers but when I’m hired for a project it’s common place for my employers to see me and expect me to only have their project on my mind. That’s what they pay me for and I do deliver. I’m 150 percent focused on that project for that day and then I’m 150 per cent focused on the next project the following day. The difference when you do a full time job is you can actually take a day off now and then, with pay – or take your lunch break or simply not have to be selling yourself and networking while working your current projects. As a freelancer the next potential job is based on the last job’s success, there is no real room for error. There is also no room for a day off being self-employed a day off = no pay. I tried to ask for help but apart from one or two people, family and friends had faded away. When coping with managing mental health issues on a day to day level, you’re not so much ‘fun’ to be around. Anyway, point is, when this picture was taken I had been working and performing six / seven days a week while doing my MA for six months. I had been getting up at 1am or 3am to complete the tasks for my MA, so I could be ready for kids and work in the day. I was exhausted and a bit broken inside, it felt like my bones had crumpled to dust and the only thing holding me up was concentration. Cracks were showing, no light was coming in and my behavior could be seen as brusque, sharp, and cutting. Fact was I couldn’t hear any new information. I was full up. In my escalating panic, I began to prepare for possibilities like being a single parent, losing my house, not finishing studying, or failing at work. I was burning out. There was not one area in my life where I could hear myself, beyond the shouting in my head for help. It amazed me that people around me couldn’t hear it. I was deafened by the noise. Still the ‘compliments’ came tumbling in. ‘You manage to cope with so much’. ‘I love your work’. I felt like these words were thrown at me from across the moat of isolation that surrounded me. As respite I had scheduled in a night away at my parents’ house, the first time I’d stayed with them on my own in over twenty years. I just needed a place to be quiet for 24 hours. Before I went away for the night, I knew I needed a happy shared memory with my husband. I’d heard about a field of poppies and we promised ourselves we’d get there. Just before the flowers turned we found a day where we could drop our children at school and go. The buzzing in my head accompanying the drive there was louder than the radio. Anxiety. I realise that in hindsight. At the time I didn’t know what was happening to me. People around me were reflecting back my persona of someone who can cope with anything and yet my inside reality was that I needed support. This created a conflict that was volatile and dangerous, it felt like a recipe for an explosion, I needed to diffuse the brewing bomb. When we arrived at the poppy field I stripped down to my pants at the side of the road to change into my poppy dress. As we entered the field, we were embraced with red, seduced by the delicate transience of poppy petals, sunlight painted us with a golden shimmer and warmed our hearts. I only managed to actually be mindfully present in that astonishing place for sixty seconds. A panic attack chased me, grabbed my heart and pumped it fast. I couldn’t remember the time of the train I was supposed to catch, this fact smacked me hard in the face and demanded attention. I have mixed feelings when I see this photo – it’s beautiful, artistically pleasing and it represents the fact that I survived those hard times. That sense of inner panic has subsided for now. My breath comes more easily at the moment. Filling my lungs with time, rather than fear. Self-care and time management have become a priority and I now know warning signs are exactly that, warning signs. Now I can say ‘My mental health is low right now I need some time out.’ Or simply ‘I need to rest now.’ People around me know I am serious, as I am taking myself seriously. It feels scary to be so seen. What else can I do? Hide away in the shadows? So often I’m given the label of ‘strong woman’ or ‘warrior’ and I am at times exactly that. Other times I’m lost, shattered and scared. It’s hard to tell the difference when you’re only looking at the outside. This poppy moment was a turning point in my personal story, a time when I made a promise to myself that I would slow down and be honest about my limitations. If you look at the photo do you see a women who isn’t coping? I doubt it. I’m committed now to living a skeleton life, one where I’m not afraid to expose the bones underneath the masquerade. Running to stand still only leaves me shattered and alone. This experience serves as a reminder for me that it’s easy to make assumptions. I know I do. In the visual world that we live in it’s important to scratch the surface of what’s in front of you. Having gone to the edge of my personal limits and felt the ‘Wonder Woman’ persona crack and fall away, I’m not so scared of saying no, taking time to heal and forgiving my human limits. By doing this and refusing to give in to the stigma around mental health, it’s a risk, right? A risk I stand by. I’m not ‘fixed’ by any means and I’ll carry on making mistakes. I’m going to try to remember, when I’m burnt out and it feels like the end of the world, and that everything is going to blow up or fall apart, that in reality it’s simply a signal it’s time for change. In a world that moves faster than the speed of light, right now give yourself permission to slow down and look at the flowers. Especially and most critically if you believe you simply do not have the time.